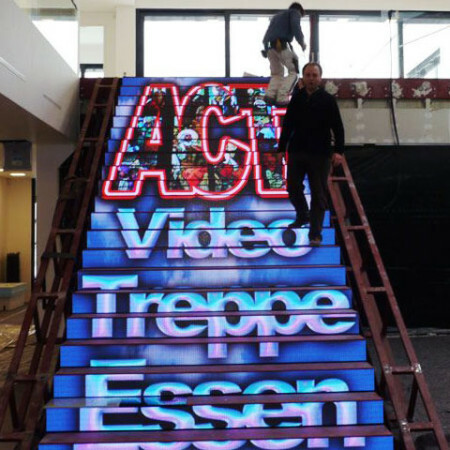 ACT has 25 years of experience in the production of LED displays. So we can offer you the right solution for each of your projects. You decide, depending on size, number, version, and budget, which option meets your needs best. Choose from our comprehensive portfolio of LED displays, ranging from single-line scrolling text on video screens to specialties such as flexible LED video screens or even video stairways. Want to learn more about LED lighting? We are pleased to advise you! Want something different to a video wall? Because of its unique qualities LED displays are an unrivaled medium for many applications in practice. Nevertheless, in some cases a Trivision or three-message sign may be a better choice. 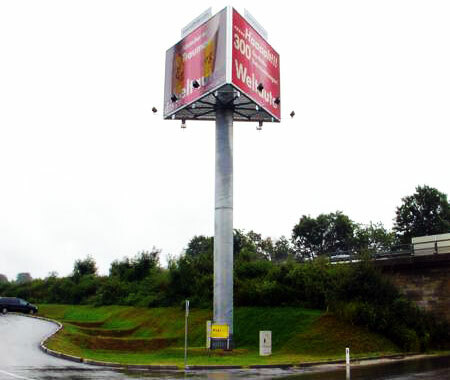 For prism-signs ACT is the right partner for you too.